Hold up! Before you proceed with this awesome guide, I advise you check out my FAQs on travel in Cuba. Bike ride through Valle de Vinales (Vinales Valley): One of the best ways to spend the day is bike riding though the Valle de Vinales. 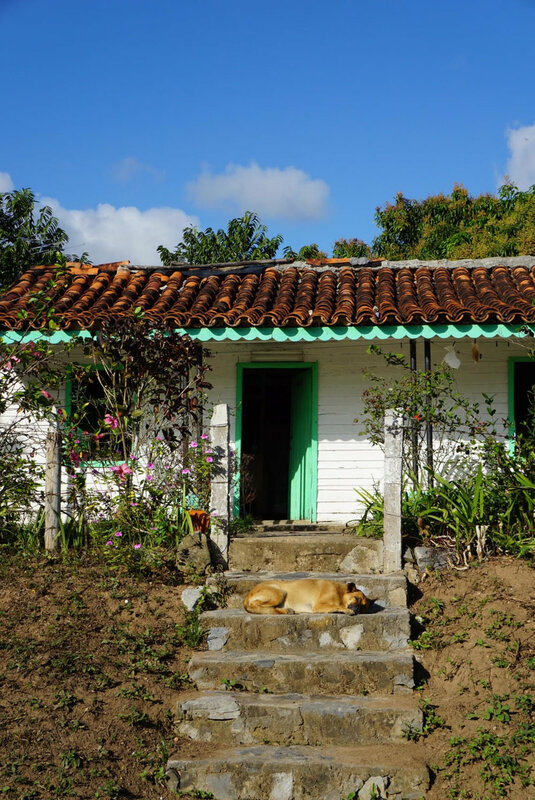 The ride is relatively flat with a few easy up/downhills, and one of the most scenic ways to see the Cuban countryside, littered with tobacco plantations and local agriculture. Ride north out of town on the road towards Esperanza. Along the way you'll pass turn offs for caves - keep your eyes peeled as there are no formal sign posts. I suggest stopping at Cueva El Palmarito, El Palenque, and Cueva del Indio; each has a minimal entrance fee of around 3-5 CUC. Head back toward Vinales after Cueva del Indio - ride through town and toward El Mural (Mural de la Prehistoria). This is a mind-blowing, 120-meter work of art painted on the side of a rock wall that took 18 years to complete. Cost: rent a bike through your casa; 7-10 CUC for the day. Horseback ride through Valle del Silencio: Ride through tobacco plantations and the Vinales backcountry on the back of your trusty steed. No matter what guide you take, they all have roughly the same itinerary, including stops at a tobacco plantation (roll and smoke a cigar - it's actually amazing), rum and coffee plantation, and a small swimming hole. Set up horse and guide with your casa, or head into the town center and ask around (look for men in cowboy boots/hats). Cost: 5 CUC per hour, 20 CUC for a 4-5 hour tour is standard. DO NOT pay more than this, or you're being ripped off. Sometimes you can negotiate lower if you're with more people. Day trip to Cayo Jutias: This white sand beach is located approximately 2 hours drive from Vinales. Half the fun is catching the collectivo taxi there - imagine riding along one of the worst maintained roads in existence in a car with absolutely zero suspension, full of diesel fumes (trust me, it was an experience). You'll get about 4-5 hours beach time, which you can spend swimming in crystal waters, drinking endless mojitos. Cost: 15 CUC for round-trip transportation in a shared collectivo taxi, which can be organized by your casa host. Centro Cultural Polo Montañez: The place to see and be seen in Vinales. A mix of tourists and locals, all there with one thing on the mind: salsa! Go after 10pm when the live music starts and things get popping. Oh, and when a Cuban guy asks you to dance, go with it. Most of the time they're not trying to hit on you, it's more of a dance partner situation. And it's going to be the best salsa you'll ever do. Cost: 2 CUC cover for tourists. El Balcon: Perched on top of a hill overlooking the tobacco plantations of Valle de Vinales, this is restaurant combines a feast of traditional Cuban food with unbeatable views. There isn't a menu, you simply pick your protein (fish, lamb, chicken) which comes with an assortment of sides. I went with the lamb and a mojito and both were excellent. Like most Cuban meals, there is about 3x too much food, so come hungry. I suggest coming here at the end of the day-long bike ride I suggested above. Other than El Balcon, none of the other restaurant I went to in Viñales were anything special. I recommend eating meals prepared by your casa hosts. The view from El Balcon. Casa Dania y Salvador: Hands down the best casa particular that I stayed at on my entire trip. Dania and Salvador go above and beyond, and are some of the kindest people you will meet in Cuba. Their meals are expertly prepared, and all the tours they organized for me (bike and beach) were perfect. Cost: 25 CUC per night in high season, including breakfast (rate for 2 people; more people may be an additional 5-10 CUC). When I visited they only has one room to rent, but a friend who just returned said they have since added two additional rooms. Email them at lorena.l@nauta.cu to reserve, or drop by to see if they have a room (walk-ins are often possible). Address: Calle 7 ma No 7 e/ 2 y 4 (La Colchoneria) Vinales. Say you know Abigail from Australia and they'll treat you extra special! 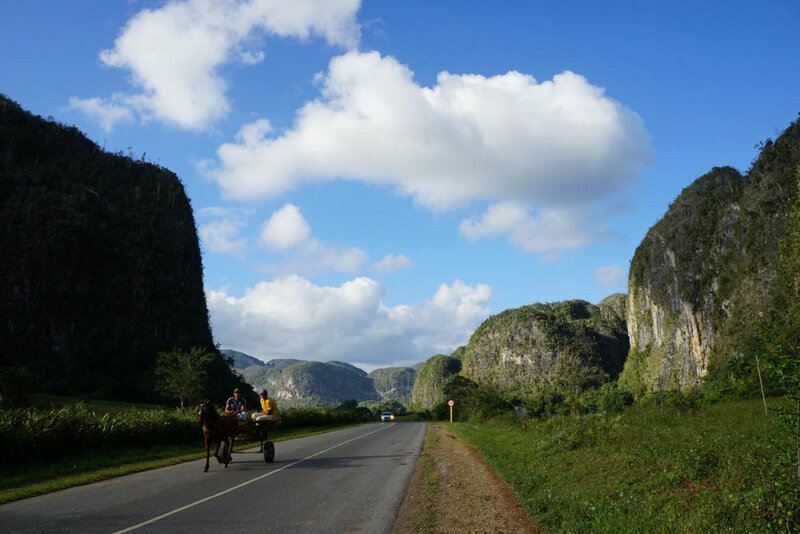 You can either get a bus or collectivo taxi to Viñales. Bus: Viazul runs servies from Havana (12 CUC, one-way, 3 hrs) and Trinidad (37 CUC, one-way). You can get the Viazul from the bus station; make sure you book online before your trip, or go to the bus station the day before to secure your ticket, as it often sells out in high-season. Cubanacan also offers services picking up at major hotels in Havana and Trinidad, and dropping off in Vinales; the prices are the same or a few CUC more. Taxi collectivo: Organize for a taxi collectivo the day before you plan to depart. This can be done with your casa host, or at the local bus station by asking around. From Havana to Vinales expect to pay 10-20 CUC per person; from Trinidad to Vinales it can be as low as 30 CUC. 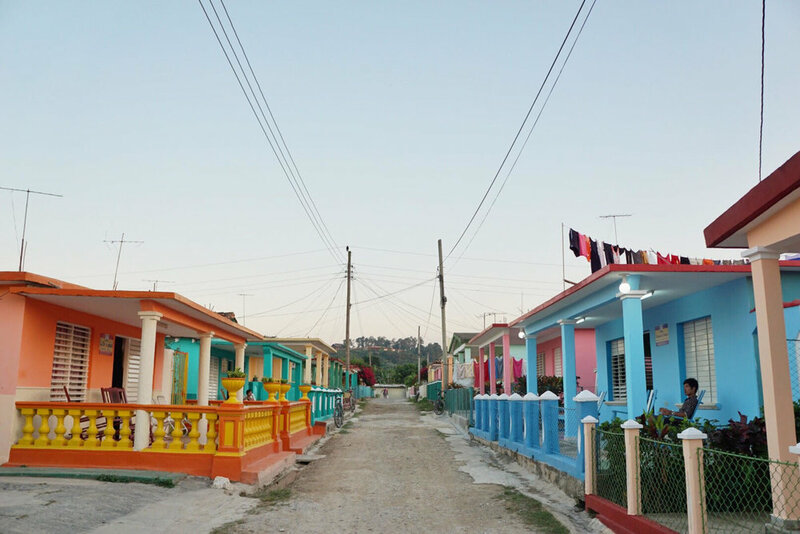 Check out my travel guides for Havana and Trinidad, too!